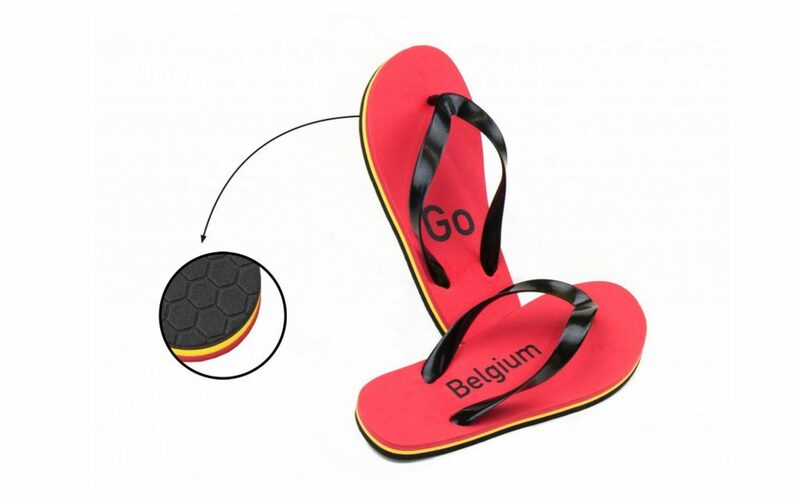 Flip Flop – Go Belgium! Flip Flop made of soft eva foam, made in the 3 Belgium colours. With football embossing at the bottom.